Head for the many museums in Kuching if you want to know more about the history of Sarawak, the peoples, animals and other interesting themes. Most of the museums do not impose any entrance fees. This museum is said to be one of the best in Southeast Asia. There are two sections that are connected by a footbridge over Jalan Tun Abang Haji Openg. The Old Building was built by Rajah Charles Brooke in 1891 based on the Normandy town house design. Extension work was done to the building in 1911. Alfred Wallace, an anthropologist was instrumental in planning and implementing the opening of the Museum. 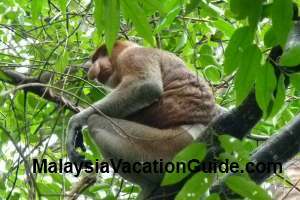 Exhibits here include the specimens of Sarawak fauna, birds, reptiles and mammals. Models of longhouses of the various ethnic groups of Sarawak, handicrafts and musical instruments are also on display here. Within the compound of the museum are the Heroes' Memorial, Botanical Gardens and an Aquarium. As you cross the bridge, you will come to the newer building known as Tun Abdul Razak Hall. It is named after the 2nd Prime Minister of Malaysia, Tun Abdul Razak and was opened to the public in 1983. This building has 2 levels and used to be the Legislative Assembly Hall from 1973-1975. There's a shop at the ground floor which sells souvenirs such as books, T-shirt and other craftworks. Exhibits here include the brasswares, furnitures, and other artifacts excavated in the state. This Museum is located at the Kuching Waterfront and is one of the main tourist attractions in Kuching. This historical building was built in the year 1912 and used to be the Chinese courthouse until 1921. The history of Sarawak's Chinese migration from South China is described in greater details through historical notes and photographs. Exhibits such as antique furniture, musical instruments and costumes of the various dialect group are on display here. Known also as "Muzium Islam Sarawak", this Museum is located at Jalan P. Ramlee and was the first Islamic Museum to be established in Southeast Asia. The building itself was built in 1930 and was opened to the public in 1992. 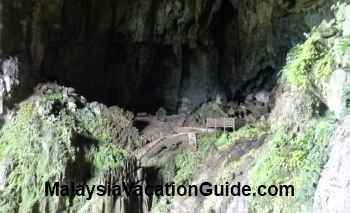 There are 7 galleries that depict the culture and heritage of the Muslim community in Sarawak. Other themes on display include Costumes, Science and Technology, Islamic Architecture, Weaponry, Domestic Utensils and Holy Quran Collection. This Museum is located at Jln Tun Abang Haji Openg, in front of the General Post Office and exhibits textiles and costumes done by the various ethnic groups of Sarawak. The famous textile done by the Iban known as "Pua Kumbu" can be seen here. This 3-storey building was built in 1907 during the colonial time and is also known as The Pavillion. It used to house the offices of a few government departments. The Textile Museum was opened to the public in 2005. You will need to take a taxi or bus here from the town of Kuching. It is located at Jalan Semariang and the building is housed in the Dewan Bandaraya Kuching Utara (North Kuching City Hall) or DBKU building. The exhibits here are all about cats. There are 4 main galleries with over 2,000 cat artifacts originated from all over the world. Find out the natural forest resources in Sarawak rainforest that have contributed to the growth of the timber industry. This museum is located at Wisma Sumber Alam or Sarawak Timber Industry Development Corporation Building in Petra Jaya. Exhibits include the evolution of the timber industry, forest and land use. You can stay at Kuching and make it as a base while sight-seeing at this capital city of Sarawak. There are many budget hotels and international standard hotels that you can choose from depending on your budget. 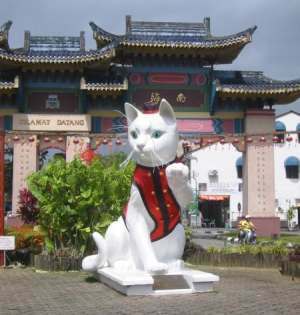 Check and compare Kuching hotels rates here.